Genesis Pram / Pushchair Travel Bags offer you unrivalled value for money and with a complete made to measure service this means every make and model is covered. Need help taking something on a flight? You are in the right place! 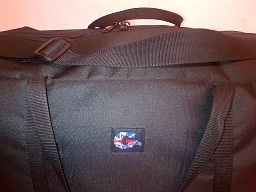 We make a huge range of Pram / Pushchair Travel Bags. Whether you are looking for a Pram Travel or Storage Bag, a Pushchair Bag, Stroller Holdall, Carrycot or Car Seat Travel Bag for use on flights you have come to the right place. More and more airlines are insisting prams, carrycots or car seats go in their own bag in the aircraft hold. Some prams and carrycots etc. do not have such bags leaving customers to find their own solutions. * Padded or un-padded versions available. All bags are GENESIS Pram Travel Bag branded but we have a standard bag to house the following sizes of pushchairs. Baby Jogger City Mini Single size of pushchair. Baby Jogger City Mini Double size of pushchair. 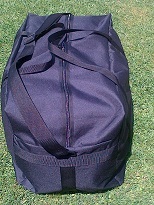 Carrycot travel bag made to measure. Car Seat Travel bag made to measure. Quinny Zapp Xtra size of pushchair. M&P Urbo size of pushchair. Micralite Stroller size of pushchair. All other models, made to measure. Click HERE to visit one of our sponsored retail partners. Other online and high street retailers available including Amazon etc. Make and models used for size descriptives only!